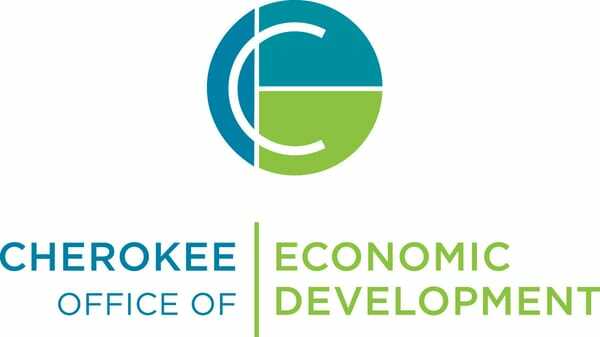 The Cherokee County Office of Economic Development (COED) recently launched its “Cherokee by Choice” capital campaign to fund initiatives that will help continue the momentum around the success the county has seen in economic development growth. By capitalizing on its assets — a highly skilled and educated workforce, beautiful scenery, proximity to Atlanta and entrepreneurship programs — COED has a real opportunity to reduce the out-commute of its residents by bringing more industry and high-paying jobs into the county. COED sought Stone Ward’s expertise on branding the four-year campaign after working with its economic development partner, Boyette Strategic Advisors. This capital campaign brochure is meant to encourage Cherokee County companies to support COED in its mission to build upon its previous hard work and smart investment to 1) sustain and strengthen the county’s economy, 2) improve workforce quality and availability and 3) ensure the availability of the infrastructure, land and buildings needed to attract investment. The “Cherokee by Choice” capital campaign theme truly speaks to the many reasons new and expanding businesses, entrepreneurs and residents want to call Cherokee County home. Stone Ward is eager to support COED through this campaign and help expand the new and expanding business community in Cherokee County!